Sankaram is a village about 25 KMs from Visakhapatnam and is known for its 4th century Buddhist structures. The two main sites here are Bojjannakonda and Lingalakonda situated on two hillocks next to each other. 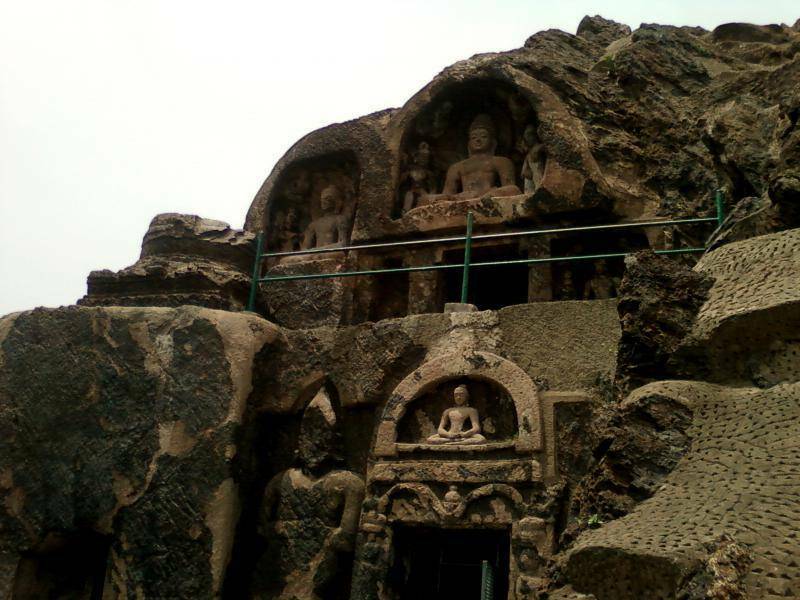 Bojjannakonda has a two-storey group of rock-cut caves fringed by dwarapalakas (door-keepers). There is a large stupa and beautiful carvings of the Buddha. Inside the monastery one can still see the individual cells where monks would have meditated in the past. Bojjannakonda is little unique place as it shows all the three phases of Buddhism i.e. Hinayana, Mahayana and Vajrayana. Impressive figures of the Buddha in meditation-posture are one of the main attractions here. Lingalakonda has some large stupas as well, and requires a short climbing up the hill – views of the rice fields below from top are spectacular. From Visakhapatnam, Sankaram is about an hour’s drive. Guides are available to show you the caves and tell you little facts about the place if you are a serious visitor to the place. There is no entrance fee for entering both the places.